NitroVin Trial Review - Is this offer a scam? NitroVin Trial Review – Is this offer a scam? NitroVin is a nitric oxide supplement that claims to help you “build up to 30% more muscle mass in less than 30 days”. How accurate is this claim though? 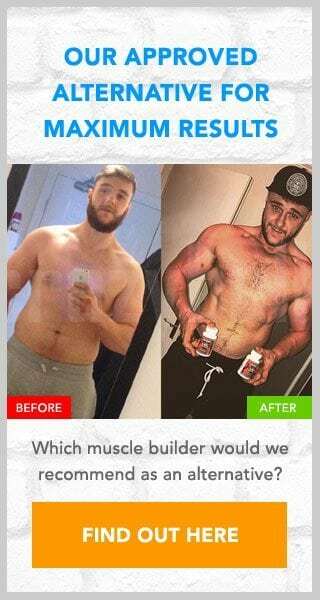 The following review will look at this supplement in more detail, whether its ingredients are likely to result in the benefits claimed and also whether there are any hidden charges involved with this offer. As NitroVin is available for trial we need to look out for any hidden terms. Trial offers are notorious for having hidden charges and auto-shipping, so we need to be careful. Please read on before you sign up for this offer. 4 Is NitroVin a scam? Having looked at the website I could not find any studies to back up these claims. So where did these percentages come from? Were they simply made up? Personally I would ignore them completely and instead focus on things such as the ingredients of NitroVin. This will show us exactly what benefits, if any, are available. It also has the dosages available, so we know exactly what benefits are on offer. While there is nothing truly remarkable about the ingredients shown, they are likely to be of some benefit. Especially combined with a good protein-rich diet and regular gym sessions. This all seems promising, but whether we would recommend this product still remains to be seen. We will need to look at the cost of NitroVin before we can go so far as to recommend it. NitroVin is available for trial, which often has a few risks. Often they are lead onto expensive auto-ship programs. Unfortunately there is no way of knowing if this is the case with this offer as at the time of writing this review the terms and conditions page was unavailable. This is disappointing and puts a serious question mark over this offer. While there is certainly some benefit to using this product, the lack of pricing information is a serious issue. I would not want to sign up for an offer without knowing how much it truly costs. I very much doubt that this is a free trial, so if you do sign up you need to keep an eye on your bank to check that no unwanted charges are made. As with the terms and conditions the contact page for NitroVin is also unavailable. This is another major problem and should any issue arise there will be no way of contacting them to resolve the issue. Our suggested muscle builder is a product called D-Bal, it is available to buy online from Crazy Bulk. D-Bal is a product originally designed to fill the space left in the market after the anabolic steroid Dianabol was banned. Unlike this popular steroid D-Bal is completely free of side effects and is also legal to buy too. As it is not available to trial, you wont have to worry about auto-shipments or hidden charges. Everything is upfront and you wont encounter any unwanted surprises.